Acnecide gel is a topical acne treatment gel that contains the active ingredient benzoyl peroxide (5%). 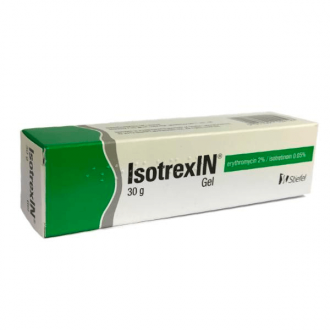 It is suitable for the treatment of mild to moderate acne and works particularly well in combination with oral acne antibiotics such as Tetralysal or Oxytetracycline. What is benzoyl peroxide & how does it treat acne? Benzoyl peroxide is a keratolytic. This means that it breaks down keratin, which is a kind of protein that makes up part of the natural skin structure. Keratin is one of the main culprits of acne as dead skin cells block pores which then become clogged and develop into spots and zits. 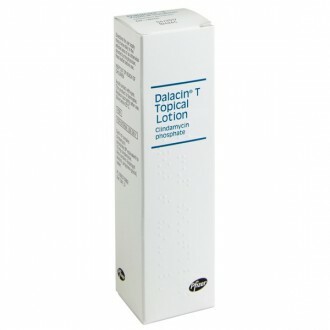 Salicylic acid is another well-known keratolytic used to treat mild acne; it is often found in face washes. Once benzoyl peroxide has been applied to the skin, it causes the skin’s top layer of cells to break down and ultimately shed. This process will not only help to break down any blackheads and whiteheads, known as comedones, and unblock your sebaceous glands; it will also help to stop any new comedones from being created. Benzoyl peroxide also has a secondary mechanism of action to help clear spots. It also has antibacterial properties, meaning it can target and neutralise the bacteria associated with acne, providing effective and safe acne relief. Acne-causing bacteria feed on the sebum created by your body’s sebaceous glands; sebum is completely harmless, but when it goes into overproduction it reacts badly with Propionibacterium acnes (P acnes). This usually harmless skin bacterium becomes a nuisance because the waste and fatty acids created by the multiplying bacteria irritate your sebaceous glands, causing them to become inflamed, and creating spots and zits. Benzoyl peroxide helps to reduce the number of bacteria and thus keeps the inflammation of the sebaceous glands under control. How does Acnecide 5% gel work? Each 30g or 60g tube of Acnecide gel contains 5% benzoyl peroxide, making it ideal for treating small areas such as the face where acne occurs most frequently. 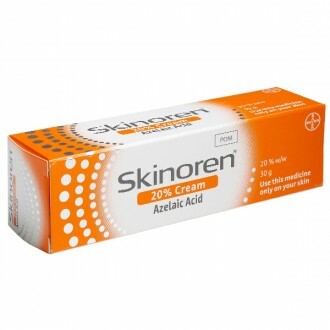 An Acnecide wash might be more appropriate for persistent body or back acne.There is currently no manufacturer of 10% benzoyl peroxide in the UK. 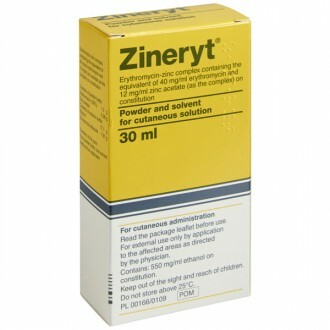 Benzoyl Peroxide 10% which may be more appropriate for more severe cases of acne. Acnecide 5% has been clinically proven to reduce the bacteria associated with acne. The acne treatment gel also contains acrylates copolymer beads which are a special technology designed to get rid of excess oil and release glycerine which moisturises the skin. The keratin-reducing, bacteria-fighting, and moisturising action of Acnecide gel makes it a popular treatment choice and one that often gets positive reviews due to lack of skin irritation. When can you expect to see results with Acnecide 5%? Patience is a virtue, especially when it comes to treating acne. As with any medication, benzoyl peroxide takes time to work and you might not see results for 8 to 10 weeks. 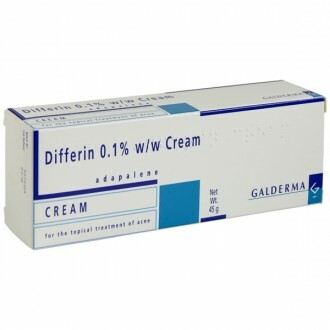 You should still apply the cream as directed during this period, it is important to continue using Acnecide regularly, even if you do not see any immediate benefit. Wash the afflicted area with a mild cleanser and apply the gel once or twice a day as directed to the affected areas. Upon first application, you may feel a slight burning sensation and possibly some reddening or even peeling of the skin in the first day or two. Throughout the first weeks of treatment, most patients experience some kind of peeling. This is nothing to worry about and will go away on its own after a day or two of stopping treatment. Acnecide gel is for external use only, avoid contact with the eyes, mouth, angles of the nose and other mucous surfaces such as the lining of your nose. If you are sensitive to any of the ingredients listed above, do not use Acnecide gel. If you experience a severe irritation when using the gel, try applying it less or discontinue altogether. Please be aware that using more gel than is required will not improve how well it works, but it may increase your risk to skin irritation and peeling. Be careful when using in conjunction with other acne treatments as there may be a compound irritation effect. Do not get Benzoyl peroxide in your eyes, mouth, nose or mucous membranes. If it does get into any of these places, wash the eye thoroughly with water. 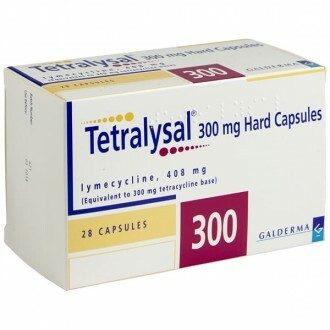 This medication can increase your sensitivity to sunlight, so care should be taken when entering sunlight. Deliberate or prolonged exposure to UV rays should be avoided altogether or at best, minimised. Always wear sunscreen or wear protective clothing. Contact with any coloured material including hair and dyed fabrics may result in bleaching or discoloration. 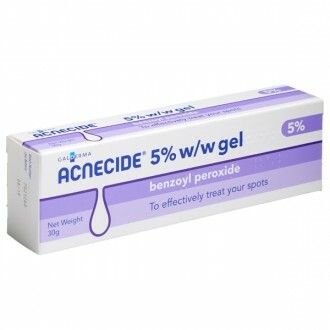 Do not apply benzoyl peroxide gel to damaged or broken skin. 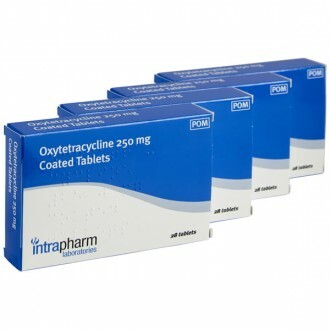 There have been no interaction studies performed on this medication, but any treatment with irritant or drying effect should not be used at the same time. How long does Acnecide take to work? It can take up to 6-8 weeks in order to see any tangible results, so keep applying the gel as directed and persist with the treatment. 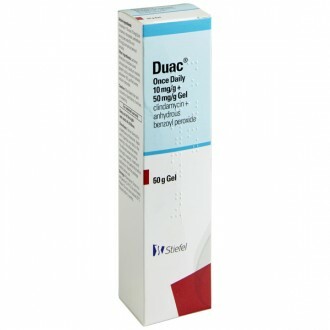 If you find that you still do not get the results you want from Acnecide, you may wish to try a combination product such as Duac or Treclin, which contain a topical antibiotic and a keratolytic for a dual mechanism of action. How long do I need to use Acnecide for? You probably need to take it for about two months to get the full benefits of the treatment. You can use Acnecide for as long as you need to keep your skin clear of acne. If you are using it continuously, we normally recommend a break from treatment every six months to reassess your acne and give your skin a break from treatment. If your acne starts to come back, you can start using Acnecide again. Who shouldn't use Acnecide gel? Anyone allergic to benzoyl peroxide or any of the other ingredients should not use Acnecide gel. We would not recommend the use of benzoyl peroxide whilst pregnant or breastfeeding as the safety of the medicine during these times has not been fully established. What are the possible side effects of Acnecide gel? Like all medication, Acnecide has some common and less common side effects. 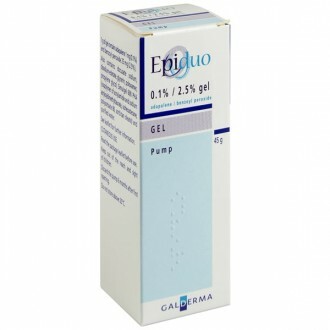 Some people may experience a mild skin irritation or adverse reaction to the gel. 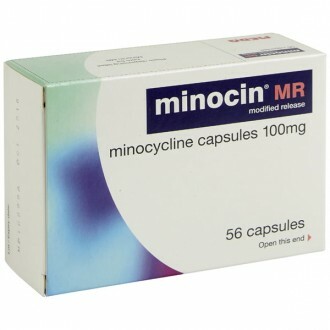 Any mild irritation and redness caused by Acnecide at the start of treatment will usually subside within a few weeks. It can cause skin dryness in some people, and more rarely, contact dermatitis. It also makes your skin more sensitive to sunlight, so you need to take extra precaution when using the gel. Can I use Acnecide gel with other medicines? Using Acnecide at the same time as some other acne treatments can lead to excessive dryness and skin irritation, so always check with your pharmacist before buying. 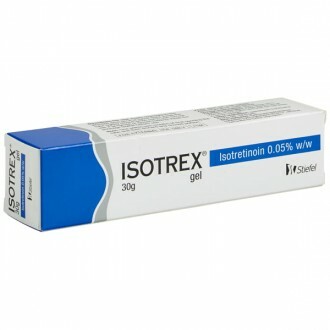 Isotretinoin (also known as Roaccutane) can react with Acnecide and dry out your skin, so it’s best to avoid mixing these two treatments. 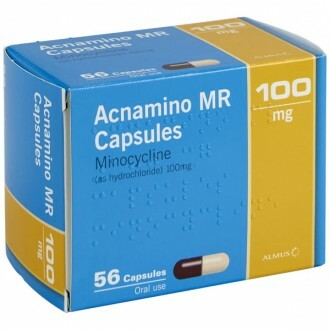 Acnecide is best used to compliment topical or oral antibiotic treatment in moderate to severe acne. When used in this way, it has been shown to have better results than either treatment use alone. 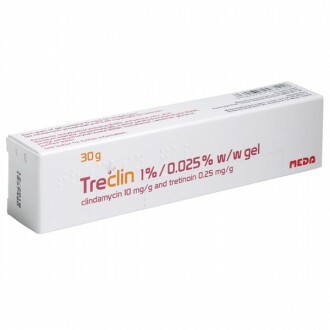 Acnecide should not be used with other drying or keratolytic treatments such as Duac, Differin, Epiduo, or Treclin. What other medicines contain benzoyl peroxide? Mainly other acne treatments like Acnecide wash, Duac gel, Quinoderm gel and Epiduo gel. Does Acnecide 5% get rid of acne scars? There are many different ways to reduce acne scarring, and it’s best to speak to a dermatologist on the most appropriate treatment. Acnecide can reduce scarring, as can salicylic acid. Does Acnecide work on hormonal acne? It won’t address the underlying hormonal changes that are causing your acne, but it will treat the spots and pustules on your skin. You may also want to seek hormonal treatment like the contraceptive pill from your GP or dermatologist. Can Acnecide make my spots worse/cause irritation? It won’t make your spots worse, but like all acne treatment gels, it can cause some irritation and sensitivity. This is most likely to occur in the first few weeks of treatment and usually subsides after this. Is this an over the counter acne gel? Where can I buy Acnecide? 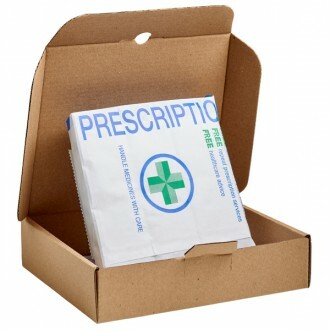 You can buy Acnecide 30g at a pharmacy without a prescription, but you will need to speak to a pharmacist first. This is to ensure that the treatment is right for you. Acnecide 60g gel is a prescription-only treatment that you can get from your GP or buy online from The Independent Pharmacy from our Online Doctor. Can benzoyl peroxide ruin your skin? It shouldn’t, but if you have an adverse reaction — stop using it immediately. Do I use Acnecide before or after my moisturiser? How should I apply it to my face? In order to get the best results, you should wash your skin with a mild cleanser before applying the gel. Then apply Acnecide to your skin, and once it has been absorbed, you can apply a non-perfumed moisturiser if necessary. Is benzoyl peroxide or salicylic acid better for acne? They both break down the skin’s keratin (known as keratolytics), but benzoyl peroxide is more effective as it’s also antibacterial. It’s a more effective acne treatment than salicylic acid because it’s more comprehensive and addresses more causes of acne. Does Acnecide work on blackheads? Yes, it works on all forms of acne and spots. Salicylic acid is often found in blackhead washes and scrubs you can buy on the high street, but benzoyl peroxide is a more effective all-round acne gel. Is an acne gel better than an acne cream? When it comes to choosing between an acne gel and a cream, there is not much difference. Often, it’s to do with the drug’s pharmaceutical formation rather than anything else. A gel is water-based so can be drying and also can leave a thin film on the skin. Creams are be more oily than a gel and are better if the skin is dry. Generally, it is the active ingredient in acne treatments that determine how effective an acne treatment is rather than the formulation (cream, gel etc). Is Acnecide the same as Quinoderm? Is it just as good? Acnecide is exactly the same as Quinoderm — it’s just got a different brand name as it’s being sold by a different company. Quinoderm used to be made by BP and has now been discontinued, so if you liked it — you should switch to Acnecide.